"If I had a show, I would have gone right after him"
"If I had a show, I would have gone right after him. I would have said something like, 'Hey, nice to see you. Now, let me ask you: what gives you the right to make fun of a human who is less fortunate, physically, than you are?' ... If you see somebody who’s not behaving like any other human you’ve known, that means something. They need an appointment with a psychiatrist. They need a diagnosis and they need a prescription." Trump shows that a little knowledge can be a dangerous thing. But when Hillary gets in office, the first dangerous thing she'll do is when she says, "Hey, what does this button do?" You would have gone right after him, and he would have denied it happened. Just like Mike Pence tried to Gaslight the audience at the debate. 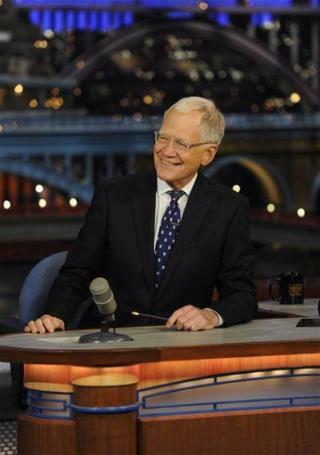 Who is Letterman? And Trump is going to the White House, end of story.